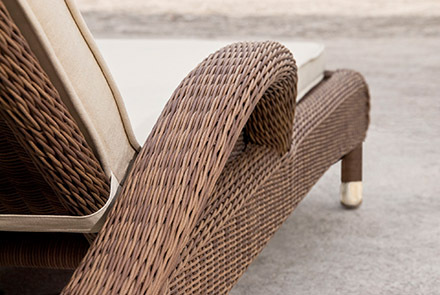 The San Marino range captures the wealth and elegance of the Mediterranean region, creating the perfect setting. The Philippines is home to the best weavers in the world and the San Marino range is produced by Alexander Rose at their own factory on the Philippine island of Cebu. Each piece exquisitely combines aesthetics and comfort, with fluid silhouettes and unique design touches to catch the eye. 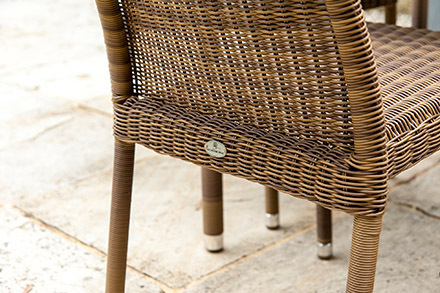 The San Marino collection is woven in a traditional basket style weave using 3mm Red Pine Rose Fibres. It has a rope trim around the edges. The characteristics of this fibre are marked by tensile strength, druability as well as UV and weather resistance. San Marino cushions are made using Oatmeal Olefin fabric and have a 2 year warranty. 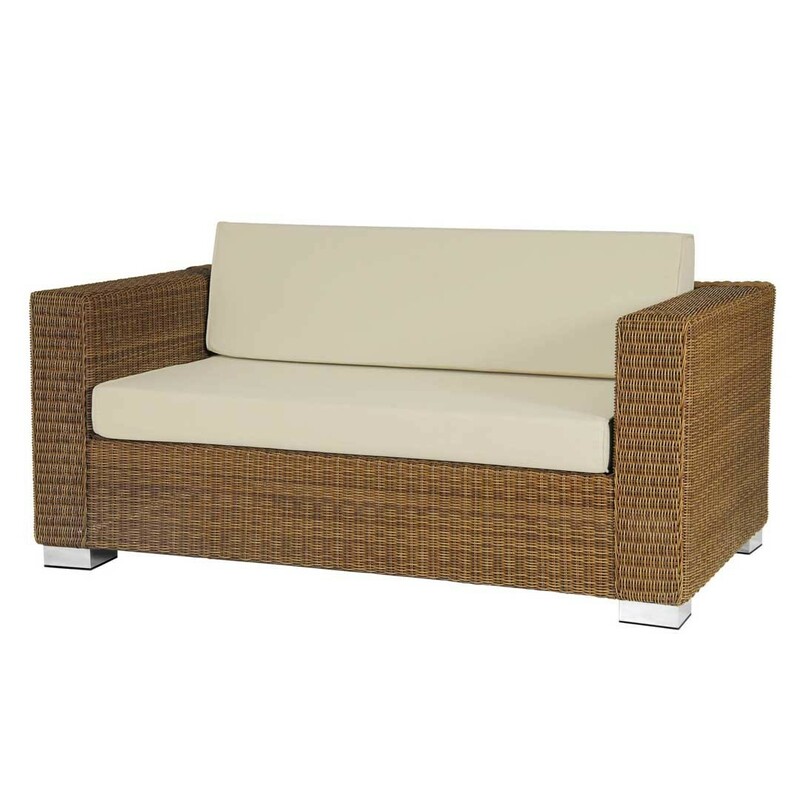 Alexander Rose woven furniture is made from only the highest quality synthetic man-made fibre available, Rose fibres. Rose fibres are UV and fully weather resistant, and also insensitive to differences in temperature. The Rose fibre is produced for Alexander Rose by Viro, and are tested rigorously to ensure they meet with their exacting standards. The structure of all Alexander Rose's woven furniture is made from fully welded, powder-coated aluminium frames. The aluminium tubes used have a wall thickness of 1.5 mm to provide maximum strength and a lightweight frame. The frames are given a chemical bath before powder coating, which applies a consistent finish to the aluminium frame and helps prevent against weathering. The aluminium frames are electro statically powder coated to prevent them from oxidisation and ensures the longevity of your furniture, the finish is invisible once it has been woven over.